Gresso's products aren't exactly what you would call affordable, nor are they to everyone's taste. But, frankly, compared to most other "luxury" makeovers we have seen of the iPhone 6, like the ones from Legend or Goldgenie, Gresso's take does seem elegant and even stylish in its own way. However, if you find that $3000 to $5000 is a little steep for your taste, but still long for a Gresso makeover, then you're in luck. 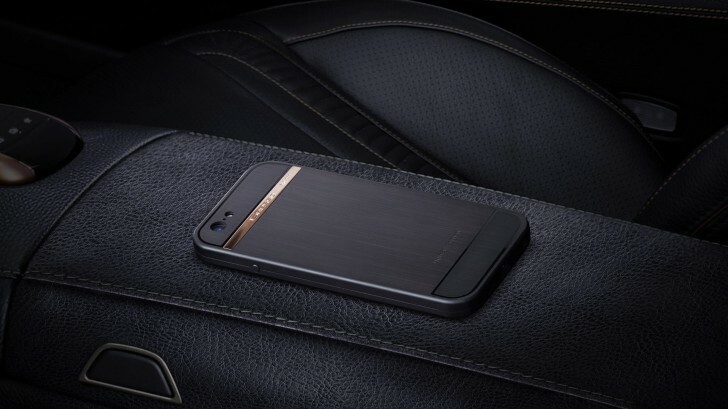 The Swiss company now offers a Regal Case that delivers mostly the same look and comes with the same choice of premium materials, as the Gresso iPhone. 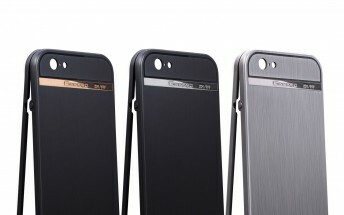 The case is handcrafted and comes in three varieties, quite typical for the manufacturer. The lower end T1 is titanium all around and will set you back $1000. The T2 and T3 variants, however, have and extra coating of PVD and a gold numbering plate on the back - white gold for the T2 and yellow for the T3. Both come at a price of $1500. The new product is also a "limited collection" with an engraved unique number form one to 999 on every unit. A curios fact is that the case is already available for the iPhone 6s, as well as the current iPhone 6. However, we sincerely doubt that Gresso has managed to get the inside track on Apple's eagerly-anticipated new phone and is merely betting that Apple won't change the design as we all expect.